Get in notice of customers and shopping lovers with luncheonette neon signs. 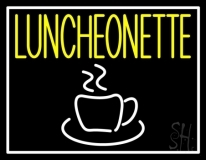 A lunch counter present at your shop can attract shoppers to fill up their stomach and buy more from your shop but a luncheonette neon sign displayed there is sure to draw in more number of customers. Display a luncheonette neon sign at the shop fronts and add more to your everyday sales. We have a distinct range of luncheonette neon lights that are sure to grab everyone's attention. If you have a lunch counter that serves soda and drinks, then we have bright Soda Luncheonette Neon Signs to best fit the d�cor. Whether you serve coffee drinks or complete mid day meals, we have all of them designed. We can custom make luncheonette neon signs to best fit your requirements. Select your choice of custom neon colors and fonts, frames and borders, scrolling and animation and get your luncheonette neon light customized. We can feature your business logo, name and image on custom luncheonette neon sign designed by our very talented designers that will satisfy all your design requirements. 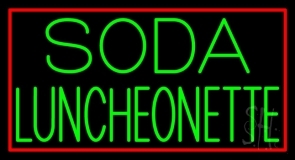 Get your personalized luncheonette neon sign designed by us as we hand craft your neon sign with real neon glass tubes. Our neon signs are easy to install, maintain and clean and will last with you lighting up your lunch counters all day and night for many long years. 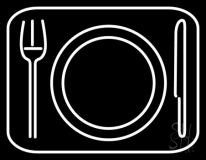 So display your personalized luncheonette neon sign and create the atmosphere of excitement for all those shoppers and food lovers. 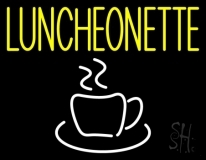 Contact us for luncheonette neon sign today!